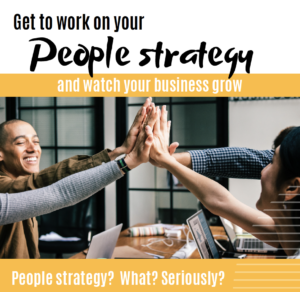 [eBook] Get to work on your people strategy and watch your business grow. People strategy? What? Seriously? Believe it or not, there is one thing in business that is under-utilized, not generally top-of-mind and desperately needing attention in all industries. We’re all in the people business. First of all, let’s get straight to the point, businesses sell to people, and businesses are operated by people (B2B or B2C, H2H… it doesn’t matter). If we fail to establish relationships and trust with those people most important to us and also fail to connect and communicate effectively with those people, we fail to operate smoothly (internally and externally), fail to sell, fail to grow, and fail to work well together and excel – Basically, we fail to perform to our highest level. When non-marketers talk about a brand, they mostly only talk about the logo, the advertising and all the fun, cool, visual stuff that makes a business look exciting. That’s all correct. But, there are also many other critical components that shape and surround your brand. 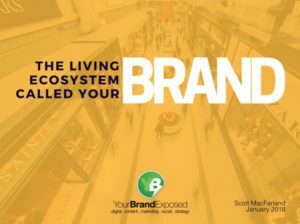 In this eBook, you will learn about many variations of your brand and how to recognize them and even work through them for better decision-making. From when to make critical changes in operations, product offerings and digital, to understanding when to put your foot on the gas to accelerate for business growth. If you don’t know exactly what the current status is for your brand when attempting to make changes, you very well could cause irreparable harm. You can also view this eBook on Slideshare. 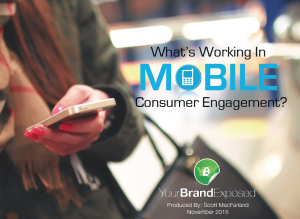 [eBook] What’s Working in Mobile Consumer Engagement? The emergence of a customer’s anytime, anywhere mobile behavior has forced the hand of retailers big and small to keep pace with their customers. The race to capture and engage customers with mobile has already started. Chief Marketing Officers, are you ready? Learn more about why mobile should be on the top of your strategy-NOW list. You can also view this eBook on Slideshare. 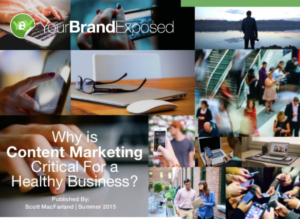 [eBook] Why is Content Marketing Critical For A Healthy Business? important for a healthy business? You can also view this eBook on Slideshare.